Oriol Texidor is an in house tutor at the studio arts program at Metàfora. Oriol is an architect and multimedia artist from Barcelona. He is the master of all techniques and is teaching most of our technique based workshops. He is the teacher that any student can rely on for help in any advanced technique they are working with, it’s a privileged to have him with all his knowledge at Metàfora.Recently he was working in Argentina for the sculpture competition “Anchipurac esCultura“, where he was one of the selected artists. He went to Argentina for six weeks to make the large scale sculpture . 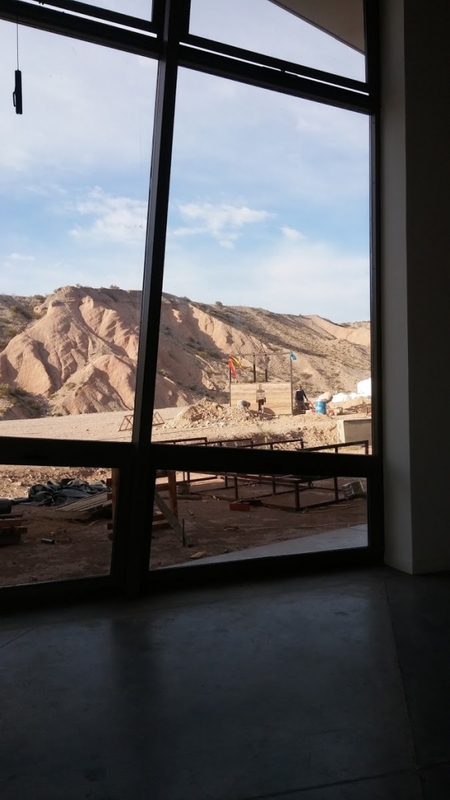 All the selected works will be placed in a sculpture park in front of the building of the museum, which is a Center of Environmental Education. 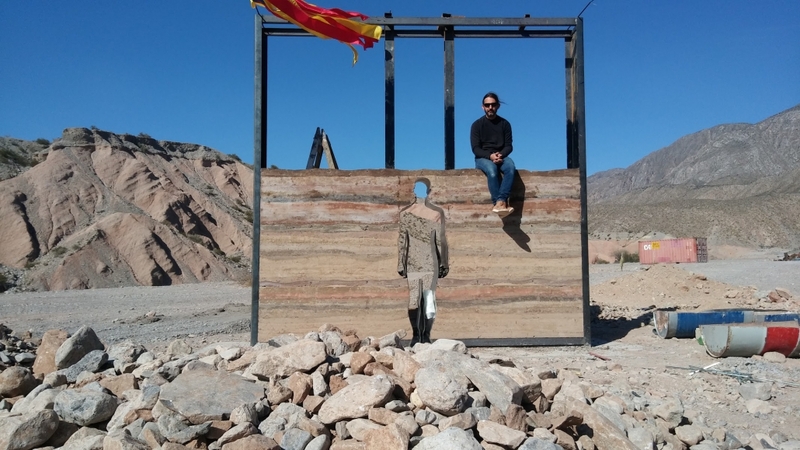 Parts of the materials used by the artists in Anchipurac esCultura have to be recycled material.”My project consists on a wall 366 x 366 x 40 cm made out of rammed earth, framed inside a metallic frame, with an opening cut in the middle representing a human body silhouette, trespassing the wall.” – Oriol TexidorFirst 10 days in Argentina Oriol established a collaboration with the UNA – Universidad Nacional de las Artes in Buenos Aires. 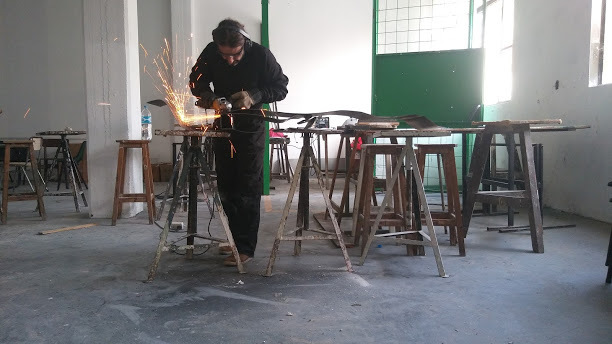 He then were able to use the sculpture classrooms and tools for the metal part of his work. 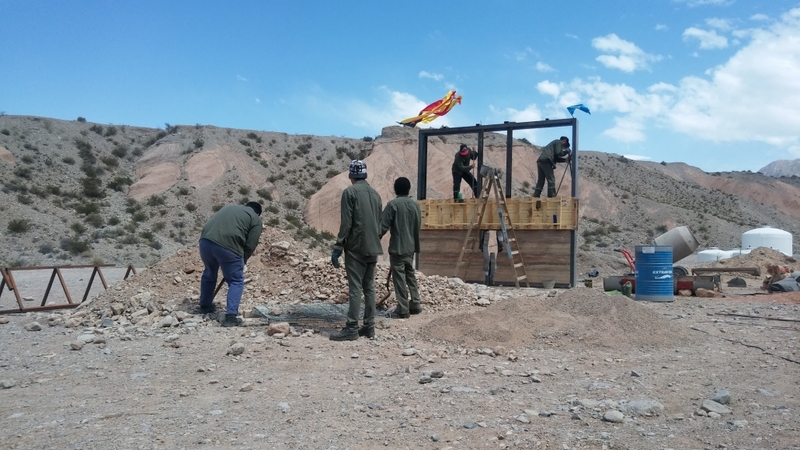 He prepared the metal frame, the inner resistant structure, and the human silhouette in real size, by bending and welding the parts. 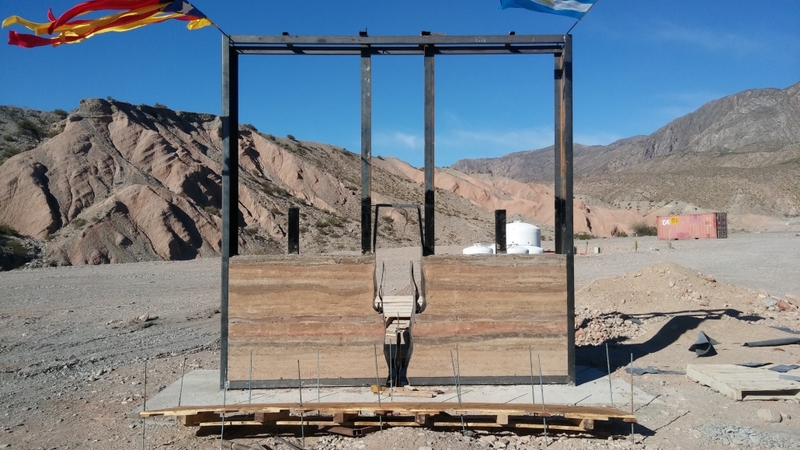 After that, a truck came for shipping the metal sculpture to San Juan.”In San Juan the structure was placed on its final position and I started with the second part of the works, concerning to the earth phase. 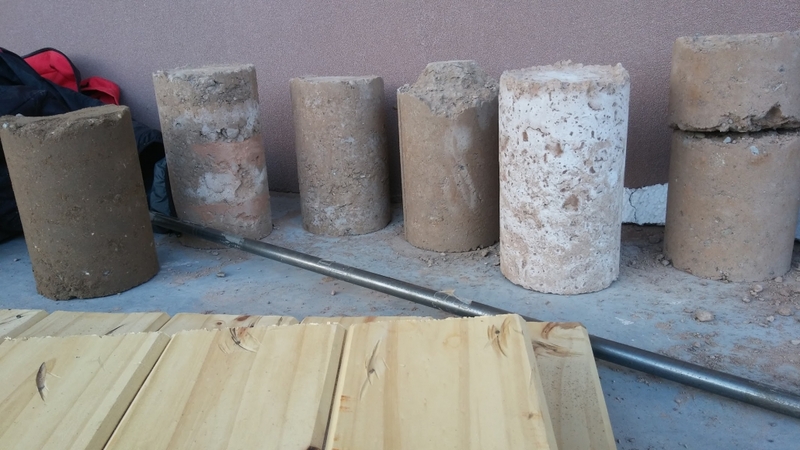 I was teaching a group of workers into the traditional rammed earth technique who they helped me during all the time. We selected the right clay from the surrounding mountains, we made several tests until finding the right proportions, prepared the wooden formwork and started compressing the earth inside, which took us three weeks of hard work. In that way the frame was totally filled and the sculpture finished.” – Oriol TexidorThe jury will meet again and choose first, second and third prize, as soon as all selected artists work will be placed in the park. The museum, and it’s sculpture park, will be opened in March 2019. 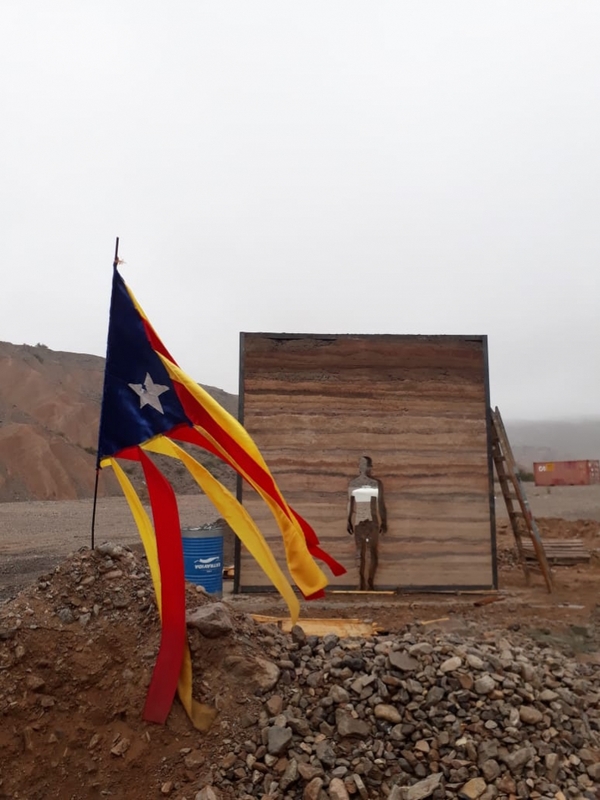 The selected artists, including Oriol will have their sculptures as a part of the permanent collection in the public space of the park.He was also recently commissioned to do a sculpture for the art festival “Viladecans Art al Comerç” by the City Council of Viladecans (a city close to Barcelona.) He made an interactive project, to be placed inside a mall for thousands of visitors every week. 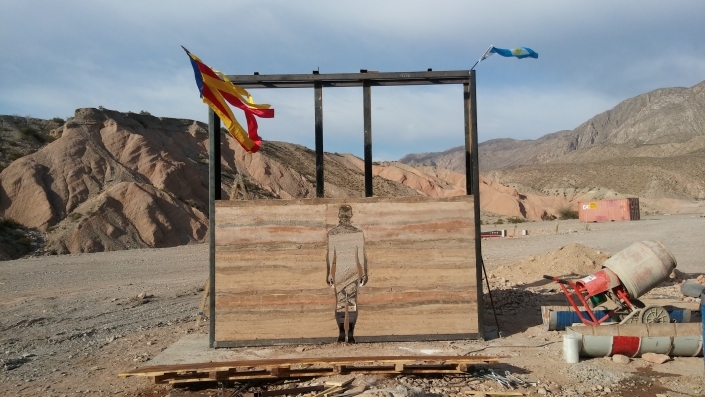 Both sides of the sculpture are made with big panels of black board, and the audience is invited to take the white chalk sticks provided and draw or write whatever they want.”I’m really impressed how enthusiastic people get when they have the opportunity to express themselves!” – Oriol TexidorThe festival “Viladecans Art al Comerç” will end 30th of November, so Oriol is looking for a collector, institution or company to provide a different location for the sculpture.